Are there any vegetables that burn belly fat? The importance of consuming fruit and vegetables daily for their health benefits is been highlighted every day. Fruit and vegetables have truly a number of health benefits. A plethora of studies support that adequate consumption of fruit and vegetables can help in reducing the risk of diseases such as cardiovascular diseases, stomach cancer and colorectal cancer. They can also benefit in decreasing the risk of developing metabolic related conditions such as metabolic syndrome, and diabetes. Fruit and veg. have components such as vitamins, phytochemicals, antioxidants, vitamins and etc which are vital for the processes of the body. So it is important to follow a diet which is rich in fruit and vegetables. But how do they relate with losing abdominal fat? Studies have shown that in the hunter-gatherer times (pre-historic) people ate 800 different varieties of plant foods. In recent times the Average American eats 3 servings of fruit and veg. These are not enough to provide adequate amounts of elements naturally occurring in plants (such as vitamins, phytochemicals and antioxidants) which are essential for health. Consumption of fruit and vegetables can help in fighting obesity and reducing body weight. What is less of a fact is what a lot of people may preach that specific fruits and vegetables will have magic powers in terms of burning fat from specific areas. So let’s see what the actual truth is and what vegetables can do for belly fat. There is no such thing as spot fat burning. In simple words if you diet or exercise you can’t selectively lose weight from the place of your choice only. 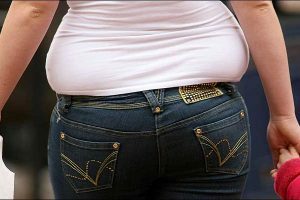 Abdominal fat has been associated with inflammation and the risk of developing metabolic conditions, (such insulin resistance, metabolic syndrome and diabetes) along with other health conditions. In very simplified words is a cycle in which inflammation and insulin resistance can increase belly fat and vice versa. Consumption of specific foods will not help you to spot burn the abdominal fat as you may have read elsewhere. 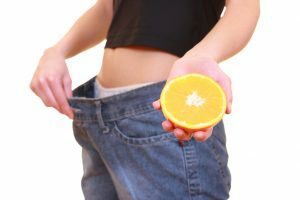 However they can help with improving metabolic conditions, improve weight loss in general or help in improving general body processes, all of which can lead to increasing abdominal fat loss. Finally, when you lose weight usually the first place to go is the fat from the abdomen as it is metabolically active and therefore easier to mobilise. Which means that by eating foods which increase weight loss will increase the fat you lose from your belly. With these facts in mind you will be able to understand more about the role of vegetables in the diet. I may also help you clear some of the common misconceptions. Vegetables are great for losing weight as they have high water content, low calorie density and high nutrient density. What all that means? Studies have shown that foods such as vegetables which have high water content promote satiety when consumed in a meal. So basically you feel fuller faster and/or with less food. Vegetables can also make you feel fuller as they can contain high amounts of fibre. Fibre has a number of health benefits but also can promote satiety when consumed. In addition to fibre fruit and vegetables can be very rich in nutrients such as vitamins, minerals and antioxidants amongst others. Last but not least vegetables are low in calories so you can eat and eat and eat without toppling the scales over. All these elements make vegetables great for both health and weight loss and it is vital to follow a diet which is rich in fruit and vegetables. You would think that all you have to do is drink more water with your meal. However, scientists argue that just drinking water while eating will not have the same effect as it is the water contained inside the actual food which promotes satiety. A study carried out by the Tufts University in Boston looked into the effects of dietary blubbery powder in obesity. The study suggested that blubbery powder can help to decrease inflammation and insulin resistance which are common in obesity and especially in increased abdominal fat. Although they did not show any changes in body weight, however decreasing inflammation and improving insulin resistance can improve metabolic processes and can help in increasing abdominal weight loss. In simple words consumption of colourful fruit and vegetables which contain polyphenols can have cytoprotective and anti-inflammatoryactions and can further provide metabolic benefits to combat obesity-associated pathology. ‘Cruciferous vegetables’ sounds all foreign and exotic but is nothing more than the everyday cauliflower, brussels sprouts, broccoli, kale and few others. Some studies suggest that this category of vegetables contain phytochemicals such as indole-3-carbinol (I3C) . These phytochemicals are suggested to help fight the effects environmental estrogens have in the body and for our interest in abdominal fat. The problem however is that many of these studies on vegetable phytochemicals have been carried out in cell level. In other words in a laboratory and there are not a lot of strong evidence on humans. What that means is, scientists are not 100% sure that this does work on the everyday person. 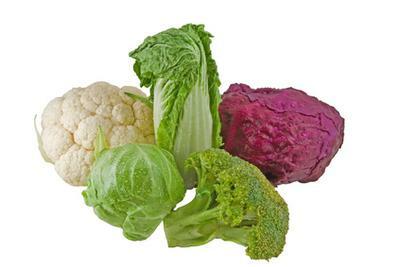 Moreover, vegetables such as cauliflower and broccoli also contain compounds which are goitrogenic. To explain simply, these compounds affect the works of the thyroid gland in many different ways. A lot of the ‘how’ and ‘why’ on the effects of the goitrogens, as well as how these can be eliminated, have not been fully understood by research. However, the thyroid gland is an organ which can influence metabolism and lead to body weight changes, not to mention that it is not good for health anyway. Do eat loads of fruit and veg. 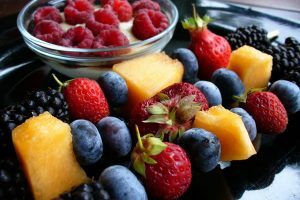 Eating ample fruit and veg is vital for health and beneficial for weight loss. They do provide the body with a number of essential to the body elements such as antioxidants, vitamins, minerals, phytochemicals etc. There is not one magic vegetable that will make your belly fat disappear. Fruit and vegetables can help you lose weight for many of the reasons mentioned above. Some people may support that if you eat specific vegetables will automatically lose belly fat but studies have not so far shown such a thing. 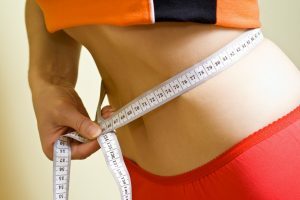 Losing weight will help in losing belly fat. Have a more holistic approach in terms of your abdominal fat. Eat a variety of vegetables. Some vegetables are suggested to have protective against disease or chemicals properties. However, sticking to one vegetable will not provide you with the entire essential for health nutrients. In addition, overeating one vegetable or one category of vegetables in the hope that they will decrease belly fat may actually lead to other metabolic disorders. Do include all the vegetables in moderation. Each vegetable has its very own benefits. Goitrogenic vegetables do have a number of other beneficial nutrients so do not exclude them from your diet. The answer here is in moderation. Do eat all the colours of the rainbow. Studies have shown that colourful vegetables can have disease protective properties. They can also help in improving metabolic processes which could help to increase weight loss and abdominal fat. Coupling it with a healthy balanced diet and exercise is even more effective. Follow a balanced dietary pattern which will provide all the nutrients. Let’s be realistic. Following in general a diet high in fat, high in calories, high in takeaways etc don’t think that by just eating specific vegetables will solve all your weight and health problems. Definitely do eat loads of fruit and veg. regardless of what diet you have but be realistic in your expectations.